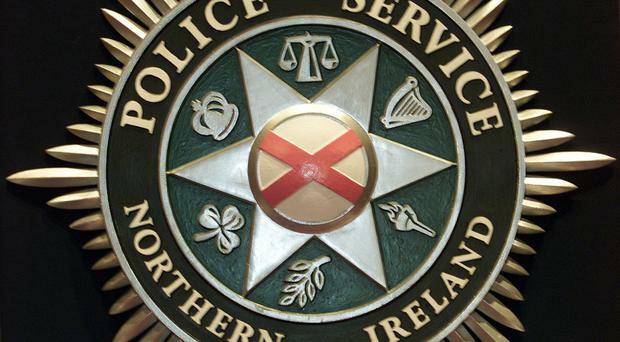 Three people have been arrested on suspicion of paramilitary activity connected to the INLA after a number of searches in Londonderry discovered drugs, counterfeiting clothing and cigarettes. Two men, aged 45 and 60, and a 57-year-old woman have been arrested in the city under the Terrorism Act on Wednesday. The suspects have been taken to Musgrave Street Police Station in Belfast for questioning. A number of searches were also carried out in the Galliagh, Buncrana Road and Ballymagroarty areas in relation to INLA criminality including the supply of controlled drugs and illicit cigarettes, money laundering and a recent paramilitary style attack which took place on 14 November in the Ballymagroarty area of the city. A quantity of Class A and B drugs were seized from the search in the Galliagh area and a 17-year-old man has been arrested on suspicion of possession of the drugs with intent to supply. Quantities of suspected Class C Controlled drugs were seized from the searches in the Ballymagroarty and Buncrana Rd areas. Documentation, phones, computers and cash were also seized. This follows a PSNI operation on Tuesday when police supported HMRC officers visited ten shops in the Londonderry and Strabane areas where approximately 36,000 illicit cigarettes and 5 kilograms of illicit tobacco were seized. Counterfeit clothing, footwear, DVDs and CDs were also seized from three of the shops. "INLA in Derry and Strabane claim to be protecting their communities from crime however in reality they themselves are heavily involved in a wide range of criminal money-making ‘rackets’ including extortion, supply of controlled drugs, counterfeit goods and money laundering. "As well as taking a cut from alleged local drug dealers (known locally as ‘pay-to-stay’) they are also supplying controlled drugs themselves. “I am very concerned that all ten shops visited yesterday in the area were found to have illicit cigarettes on their premises. "Retailers who stock and sell illicit cigarettes to the public should think carefully about the potential implications upon conviction. They and customers who knowingly purchase illicit cigarettes should also be aware that they may be indirectly funding INLA terrorism and criminality which brings misery and harm to local communities, all for their own selfish gains. I would like to thank our partners in HMRC for their assistance with this operation." A 56-year-old man was also arrested on Tuesday by HMRC for ‘Fraudulent Evasion of Duty Chargeable On Goods’ in respect of 19,800 illegal cigarettes seized from one of the shops in the Galliagh area of Derry. He has subsequently been released pending report to the Public Prosecution Service.